Legendary's big budget take on the iconic King Kong tale gets a first look trailer - and we are suitably intrigued. This Kong origins tale sees Tom Hiddleston, Brie Larson, John Goodman & Samuel L. Jackson take centre stage - in a story which refreshing appears to be centred on something other than the mighty ape scaling the Empire State Building. Jordan Vogt-Roberts who made the incredible Kings of Summer directs this 2017 blockbuster - produced by Legendary who brought us the moderately well-received Godzilla two years ago. 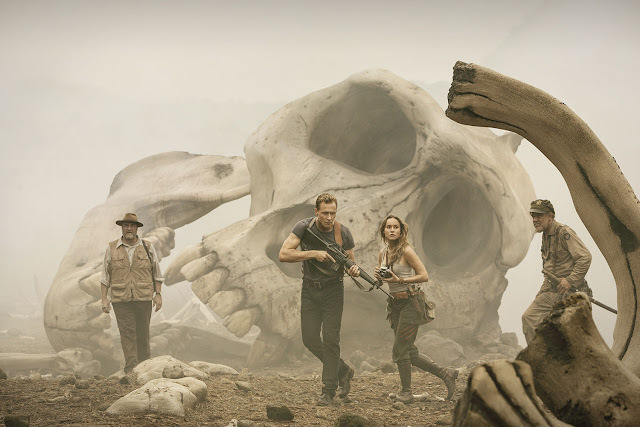 Kong: Skull Island hits cinemas 10th March 2017.